Small Red - Gold shoulder bag, perfect for a night out. Just enough room to hold your necessities and anything random you might need, but small enough to keep you from carrying around things you don't need on a regular basis. • Measurements: 17cm W. (top) x 19cm H. x 3cm D.
In inch: 6,6' W. (top) x 7.4' H. x 1.1' D.
• Made from CORDURA® waterproof fabric. CORDURA® is a high-performance polymer fabric, designed for superior strength and abrasion resistance. Factory coated with a sprayed on, Polyurethane coating on one side. ∆ All monitors are different so colors may vary slightly in person. Gorgeous bag and beautiful craftsman ship! Arrived super fast. Perfect, like always. I just love these so much! Shipping came in faster than I expected!! 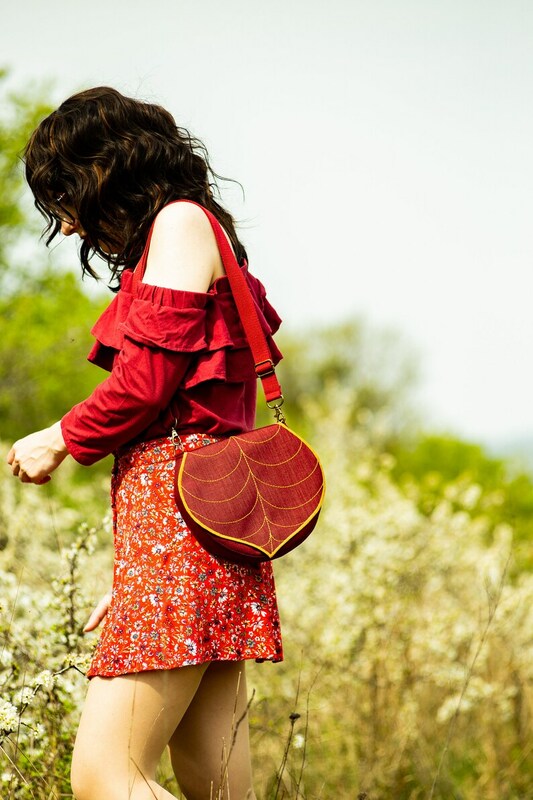 Leaf bag perfect accessory for the autumn season! !